I don't know about you, but my family purchases stuff from Amazon all of time, especially around Christmas. 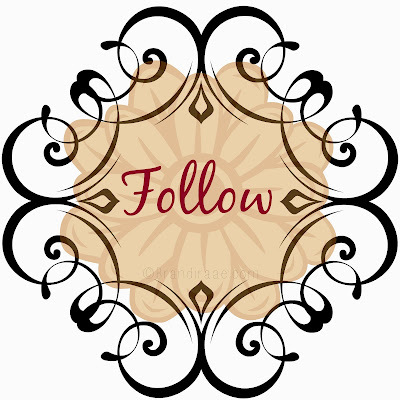 If you do, too, would you please consider using my Amazon affiliate link? It doesn't cost you a thing, but it helps me out a little bit. 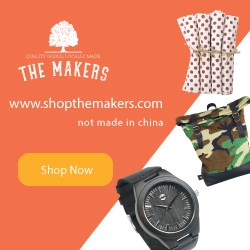 I make a very small percentage off of each item purchased. Just shop as usual. Search for whatever you're looking for and purchase how you normally do. Nothing changes for you except for the fact that you are using my link. Continued from Journey to Pastor's Wife Part 3. So, dinner. December 18, 2013. I was looking forward to it but admit I was somewhat apprehensive. I couldn't help but think that something was going to get brought up about the future, specifically the part our family might possibly play in Calvary East Valley's future. Looking back on this eventful meeting, there must've been a glorious host of angels gathered on heavenly white clouds nudging each other into the ready-to-take-action position knowing that the poor girl who was about to experience a life-changing dinner was going to need some serious supernatural help after devouring an entire plate of yummy quesadillas. And it wasn't going to be from indigestion. It was going to be from the revelation that our pastor and his wife wanted us to pray about Mark (hubby) coming on as not just a worship pastor but as an assistant pastor in the near future. The only time frame we were given was ~ soon. Yikes! our peaceful path had just turned into that dreaded fork in the road. Noooooooooo! My word for 2014 was taking on a whole different meaning! I knew right away that my husband was excited. It was like a burden had been lifted from his shoulders and dropped onto mine. What he thought had been buried had never really been buried by God. Only dormant, waiting for the timing to be perfect. Christmas came and went, and we found ourselves crossing the threshold of 2014 with a fork in the road to confront. This was no light matter, so we dedicated the first of the year to serious prayer. Even though I wasn't happy about the turn of events, I did want God's will to prevail. It really didn't take long for us to know in what direction God was leading us: full-time ministry. Sometimes knowing God's will doesn't make it any easier to accept. I think of Moses and his burning bush experience. Couldn't get any clearer than that, but Moses didn't seem too excited to jump into his role as deliverer of God's people. Well, that's how I felt. I wasn't thrilled about jumping into the role of pastor's wife. In the weeks and months that followed, I struggled. I threw fits (in the privacy of my own room) worthy of a spanking. I cried and sometimes vented my frustrations. (I am so thankful for a kind and patient husband.) It's not what I wanted, but I knew it was what God wanted. So, not only was I struggling with the fact that I might end up as a pastor's wife, but I was struggling with the ugly truth that it was something I didn't want but should want. I'm thankful for a kind and patient God, too. 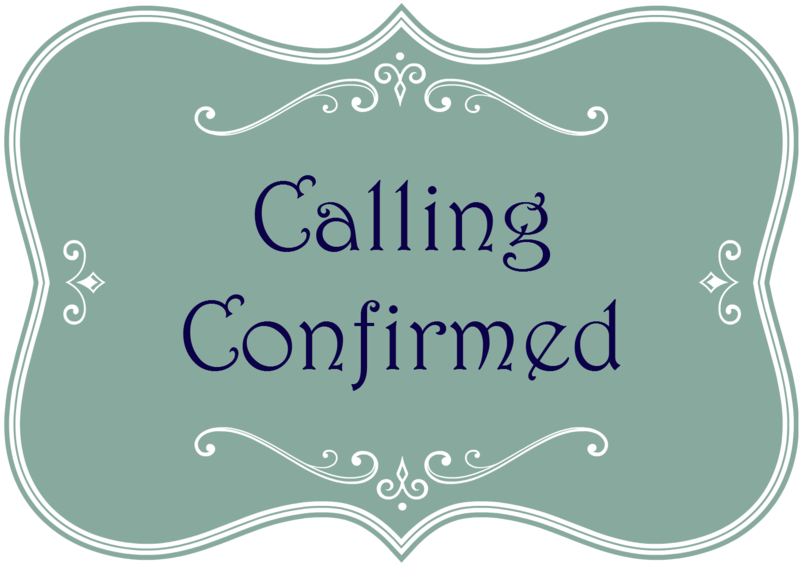 He gave me two confirmations pretty early on that helped me accept the fact that this was His will for our lives whether I wanted it or not, and that I needed to pray that He would help me receive this calling with joy. The first confirmation came through my sister-in-law who said she had a dream that we chose ministry. The second confirmation came through a lady at church who knew nothing of our situation or the decision that we were contemplating. One morning at church, she and I were talking and she said something like, One day when you're a pastor's wife . . . I didn't hear the rest of her sentence, because I was like, "What made you say that?" She said that Mark was really gifted and that she saw ministry in our future. Whoa! I had chills. I knew God was lovingly confirming His calling. I just wish I could say that from that point on I've cheerfully embraced it with my whole heart. *Sigh* Yeah, that would be a lie. And I don't want to lie. 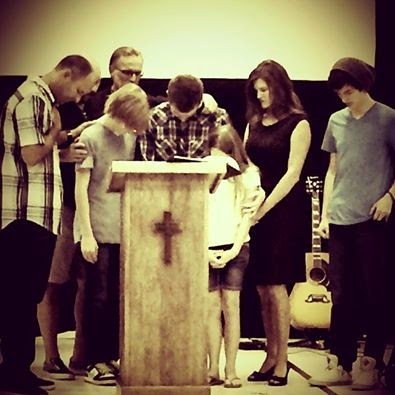 Well, about 8 months after the life-changing December dinner, we found out on August 12, Mullin's birthday, that Mark would officially become Calvary East Valley's assistant pastor on September 2, 2014. The news was announced at church on August 31. It had been almost 30 years since he'd felt God calling him to be a pastor. And so ends my journey to becoming a pastor's wife. I am sure I will continue to write about my journey as a pastor's wife, though. Goodness, I need another blog . . . While anyone can still listen to his music (all 20 tracks) on SoundCloud absolutely free of charge, his songs can no longer be downloaded without purchase. 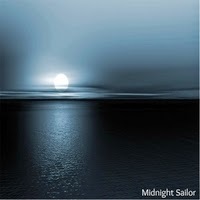 So, he's made his first album (4 songs) available on cdbaby for $4.00. Songs can also be purchased separately. So, last week I left off with my husband about to reveal the very depths of his soul which was really so much more than a longed-for dream or deep passion. I'm pretty sure I didn't respond with a smile, a loving caress, or a word of encouragement. I'm more sure that I was sporting a stunned, deer-caught-in-headlights look just waiting, hoping for an "I'm just kidding" to follow the big joke. When I realized he was serious, I think I just tried to blow it off with something very much me like, "Well, too bad you didn't marry pastor's wife material. Heh." I wasn't exactly feeling like a good Christian girl should. I mean, wow, my husband was revealing that he wanted to serve God for a living, and I wasn't digging it at all. 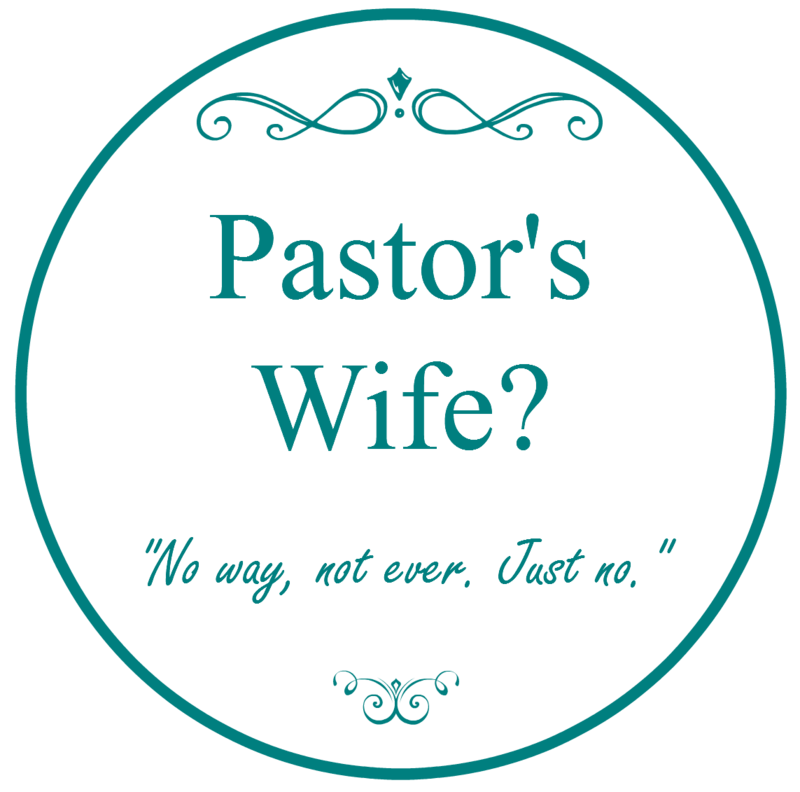 I didn't mind serving and helping out at church as a volunteer, and I enjoyed trying to live out my own calling as a godly wife and stay-at-home mom, but a pastor's wife? No way, not ever. Just no. I never minded when my husband served as a volunteer worship leader or taught Sunday School to college kids and stuff like that, but I was just fine with my husband having a normal job (outside the church) with predictable hours - a job that didn't involve me in the least. A job that didn't mix ministry with money. Yeah. Honestly, the thought of ever being a pastor's wife had never even entered my mind. I was truly shocked. I didn't know the first thing about being "on staff" at a church. (I still don't, ha!) I guess I wasn't all that worried about it really happening at the time of revelation because there weren't any open doors, not even any cracked doors, leading in that direction. It was a burden in a way to know that my husband didn't feel like he was living out his God-given calling, a burden to wonder when and if that calling would ever come to pass, and a burden to carry around my thoughts about not wanting it to come to pass. Life went on. Years went by. Then, on complete faith, we moved to Arizona and started a new life because we felt God telling us to. Three days after we moved, husband got a regular job to begin supporting our family of five. There was one ministry opportunity that came up rather quickly after we moved, though. He was offered a part-time job to lead worship at a local church. He wasn't going to be paid much, but it was still a paid position. After careful prayer and consideration, he knew it wasn't a good fit. He turned the offer down. Well, after visiting a couple of churches, we felt we'd found the one God wanted us to call home. One Sunday a lady heard my husband singing during worship, and next thing you know, he's part of the volunteer worship team. For about 4 years, he was a faithful volunteer in this ministry. To make a long story very short, after a divine, unscheduled appointment at Fry's with an amazing lady I'd met at that church, my husband and I began praying about an opportunity to maybe help with a potential church plant. Months later, we found ourselves at our current pastor's home participating in the very first service of Calvary East Valley, with my husband leading worship, of course. ;) For 3 years my husband faithfully served as the volunteer worship leader. Which brings me back to the dinner with our pastor and his lovely wife on December 18, 2013. 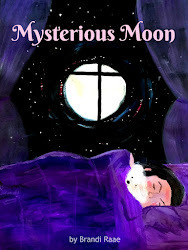 But, I will have to continue this story later since it's time to read aloud to my daughter before she goes to bed. And what a wonderful book we're reading right now - Anne of Green Gables, one of my favorites! 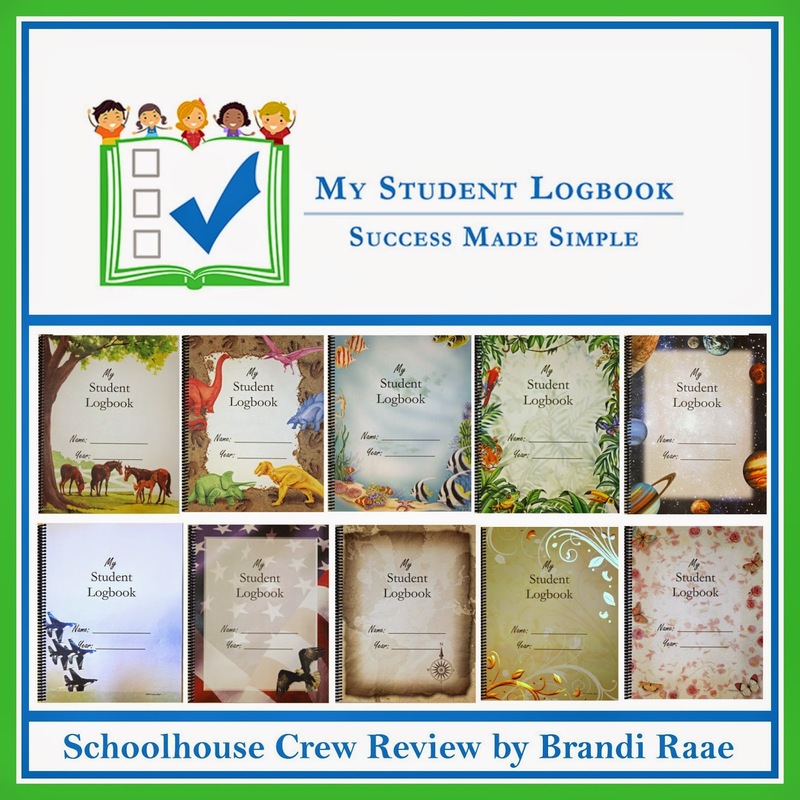 My Student Logbook, a company created by homeschool parents, Jim and Corina Abbott, sent members of the Schoolhouse Review Crew one student logbook per family to be used with one child for a single year. I knew this product would be perfect for my 7th grade son who loves to make lists and schedules. He chose to review the Dated Vintage Map. 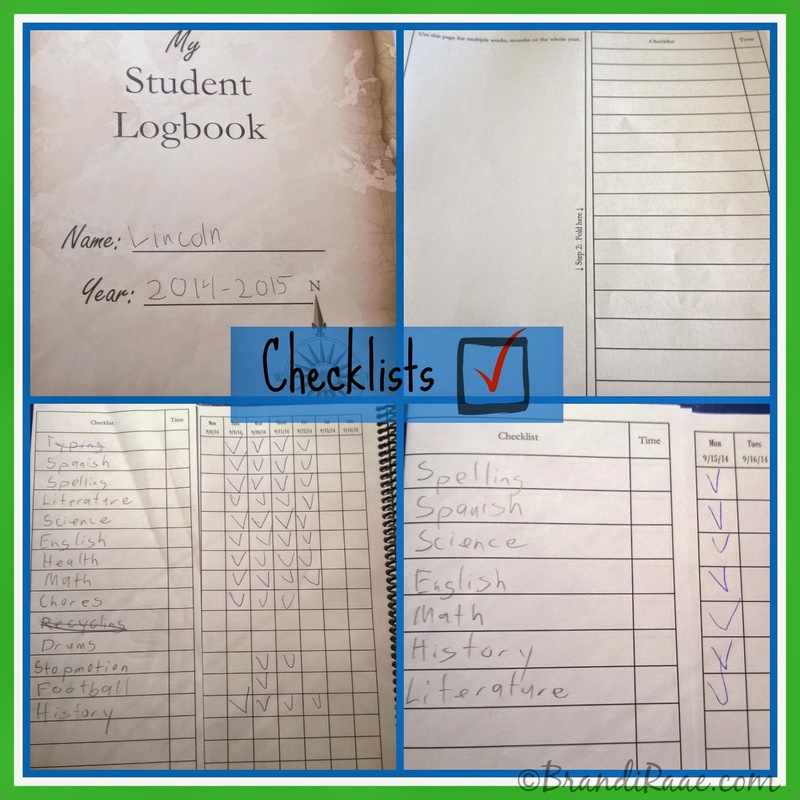 My Student Logbooks are a great way for students in 2nd grade and up to manage their homeschool subjects, extra curricular activities, chores, and more. 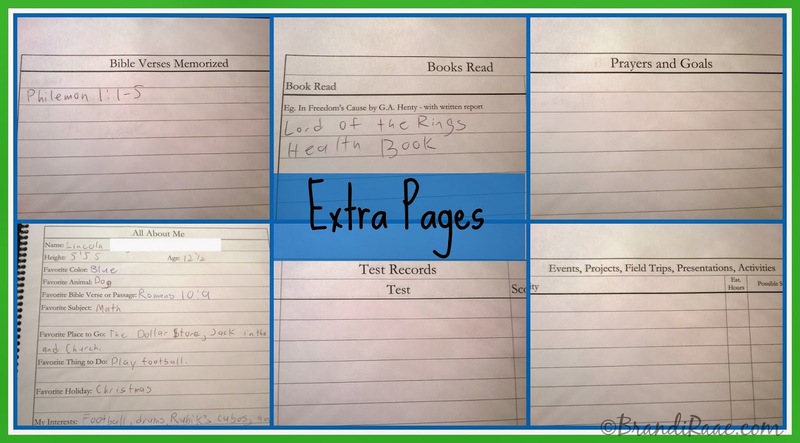 Plus, there are extra specifically titled pages for recording personal information such as "About Me" facts, prayers and goals, books read, Scripture memorized, test scores, projects and fieldtrips, and favorite memories from the school year. You can choose from 10 different cover designs that will appeal to boys and girls of all ages. The logbooks are 8.5 x 11" and include a clear plastic protective sheet over the cover page, a sturdy black plastic back cover, and black plastic spiral binding. Your student can write his name and the year on the lines provided on the cover. * The dated version appealed to me because we usually follow a typical northern hemisphere school year, and I like the neatness of pre-printed dates. Set-up Instructions - In 4 easy steps, your logbook will be ready to use. Using Student Logbook to Create High School Transcripts - Corina shares 3 pages of advice on keeping detailed records for high school students. Checklists - there are 6 lists. These checklists are what really make this product unique and easy to use. Why? They are reusable! Because the checklists are taped onto the back of the first page your student is going to use to begin recording information and folded over onto the front side of that page, all of the following pages (after they've been used) can simply be "tucked" underneath the previous weeks' pages. Checklists are on the left-hand side of the page while dated columns are on the right-hand side. It's on these columned pages that your student will put his checkmarks to show work completed. There is also space to record the time or how many hours spent on the subject. If at any time, your student needs to change his original list (my son has already done so), he can tear out one of the new checklist pages and begin using it right where he left off. There is no need to remove the old checklist, in fact, it's best to keep it just the way it is to serve as a record of work already completed. 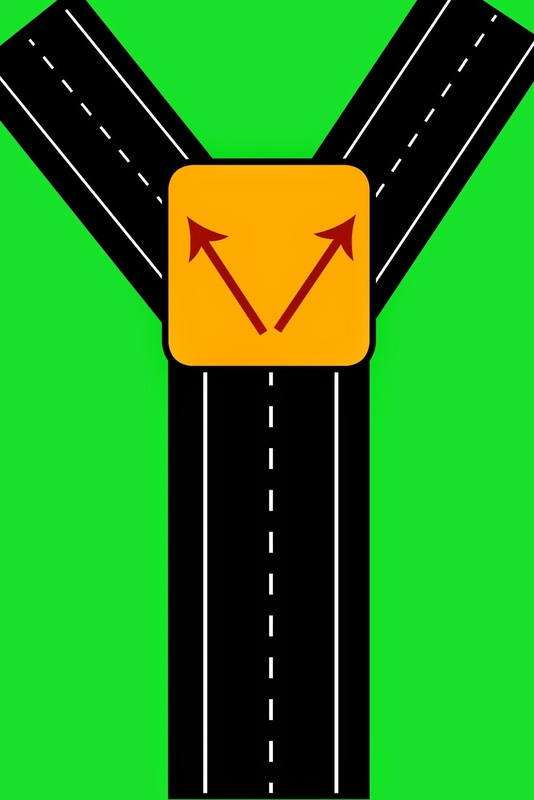 If this method doesn't make total sense, it will after you watch the video on how to set up your logbook. My son and I both found it to be very helpful. 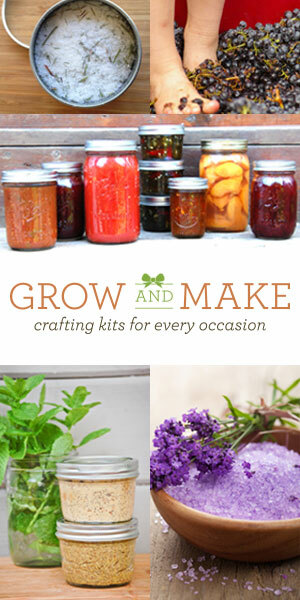 This video is on the website and also includes written instructions with several photos. We've only been doing school for about a month and a half, but my son has already changed his list to reflect the fact that he's already completed a brief health course and a refresher typing course. It also looks like he's simplified his core list a bit and has decided not to include chores and hobbies. Since it's his personal logbook, I am letting him keep it the way he wants it. 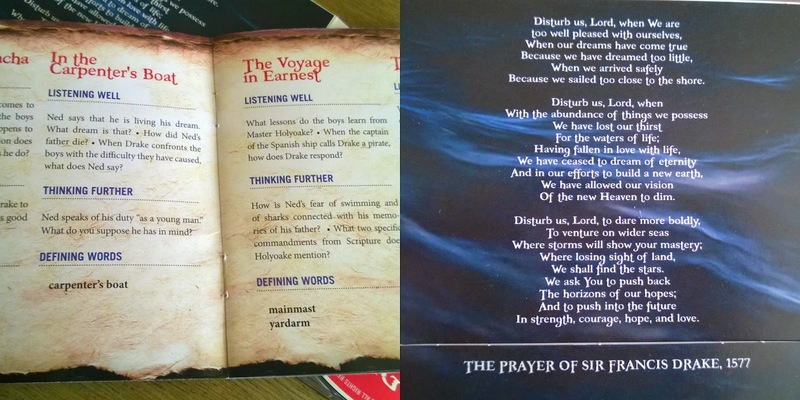 Below are some of the extra pages that are in the back of the logbook which I mentioned earlier. These pages are perfect for recording personal information and really make the logbook special and keepsake worthy. How great to have these memories all in one place. I wish all of my kids had a My Student Logbook for each year they've been in school! 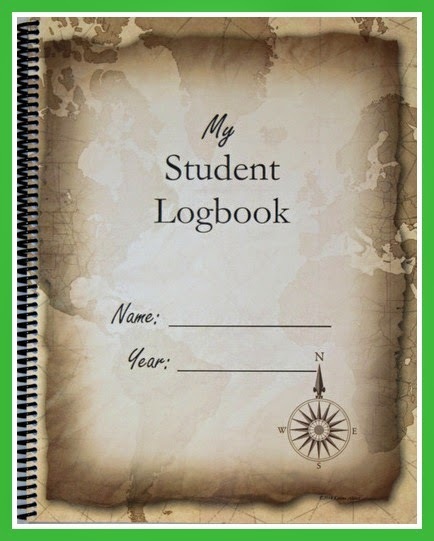 Each My Student Logbook can be purchased for $15.00 plus $5.00 shipping within the United States. There are also two PDF versions available - one for a single copy license which is $10.00 and one for a family use license which is $20.00. Internationals can purchase the PDF versions only. Also, the PDF versions do not come with a cover design. My son says he likes the logbook a lot. I do, too. It's truly a simple yet ingenious way for your children to keep track of their own records for an entire school year. Plus, it offers flexibility for all types of homeschooling families. 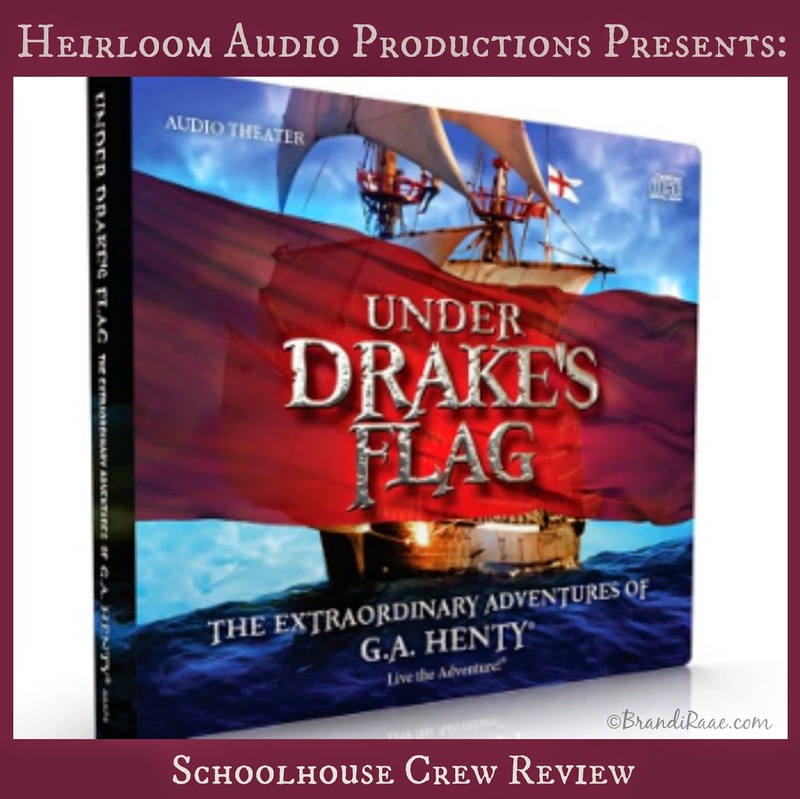 Click on the banner below to see how other Crew Members used their logbooks. Connect with My Student Logbook on Facebook and YouTube. 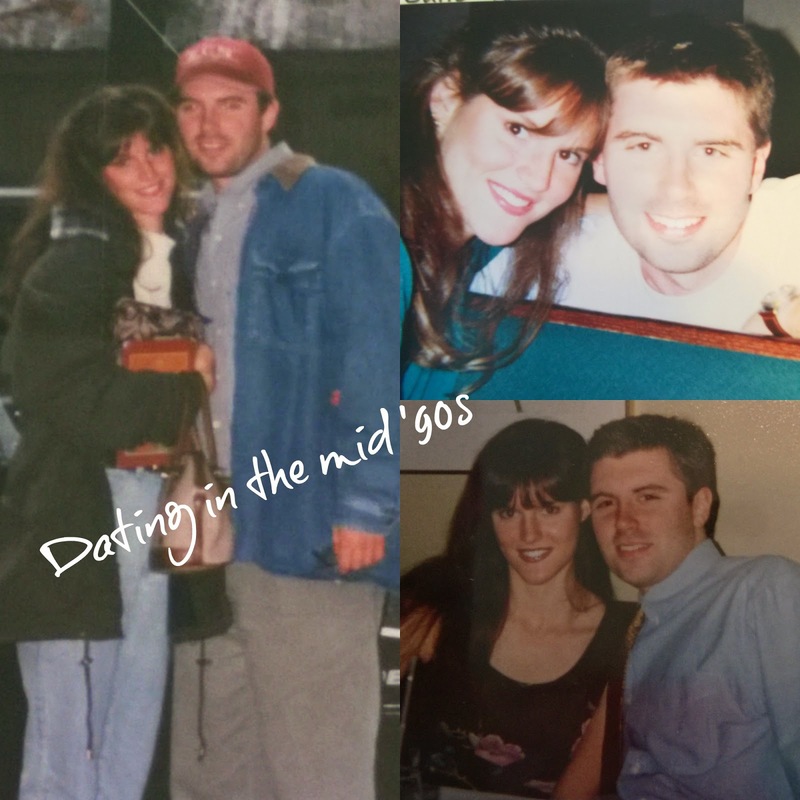 When I met my husband, I was drawn to his shoulder-length, shaggy hair, carefree style, and passion for God. He wore a guitar like I wore a purse, and he had a wonderful gift of being able to lead others in worship. In fact, around the time that we met, he was the worship leader for his peers who were in the college ministry at our church. 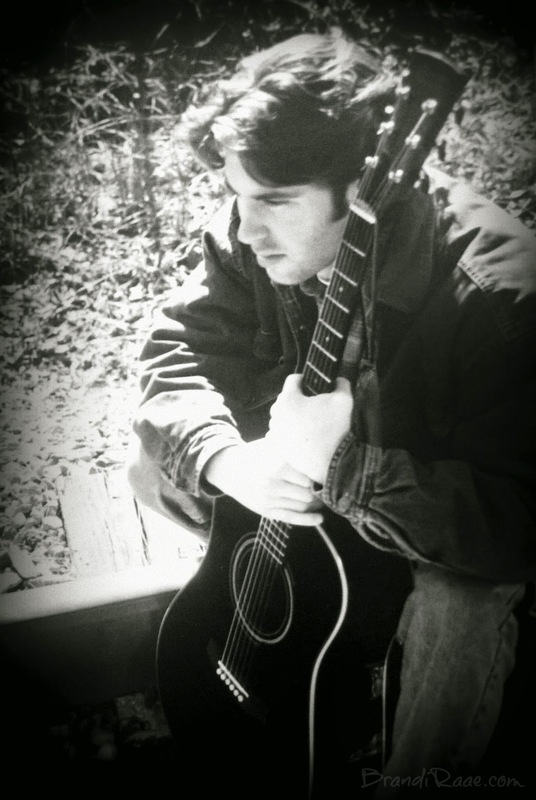 I loved listening to him play the guitar and sing. He had (and still has) quite the talent for writing his own songs, too, and he often recorded his music onto tapes. (Some of you may need to click the link to see what in the world I am talking about.) While we were dating, going out, courting, or whatever you want to call it, he even devoted a little bit of time to pursuing a career in Christian music. And, yes, he even got a little cheesy and wrote some songs for me. Sweet, I know. Worship leader, future CCM artist - that was all pretty exciting in my book. As we all know, real life happens, though, and as a young 20/21 year old, my then boyfriend was living on his own and having to provide for himself. So music was more of a hobby and a real job, a way of life. Fast forward a couple of years, and that same guy, but no longer with shaggy hair, was singing his bride (me) down the isle. Music was definitely put on hold as real life smacked us good and hard in the face. Not to mention that our southern mega church with massive choir didn't really have a place in music ministry for a Birkenstock wearing, guitar playing type of guy. We both had real jobs and husband even went back to college to earn a degree in history thinking maybe he could eventually become a teacher. Life was busy, especially after baby #1 came along. I became a stay-at-home mom, but hubby continued to work full time and go to school. The only "ministries" we really got involved in at our church came a little later. I helped lead a group in the MOMS ministry when my first born was a toddler, and also during that time period, baby #2 came along. A few year later, hubby and I (mostly hubby) started teaching a Sunday School class in the college ministry. It was during this phase of life that I began homeschooling and birthed baby #3. We both loved serving however God was leading, but full-time ministry was something that had NEVER been brought up before. I don't even think that phrase had ever even entered my mind. Ever. I don't have a clue how long we'd been married when my husband reached into the depths of his soul and shared a piece of his heart with me. (I just know it did happen.) He revealed a part of himself I truly hadn't known before. And I can honestly say, I wasn't too jazzed over it. In fact, it kinda scared me. Well, this looks like a great place to take a break. ;) TO BE CONTINUED AGAIN . . . It was early December. Holiday happiness in full swing. Hubby and I were at peace with life in general. We were finally getting back on our feet after many years of economic trials and our marriage was better than ever. 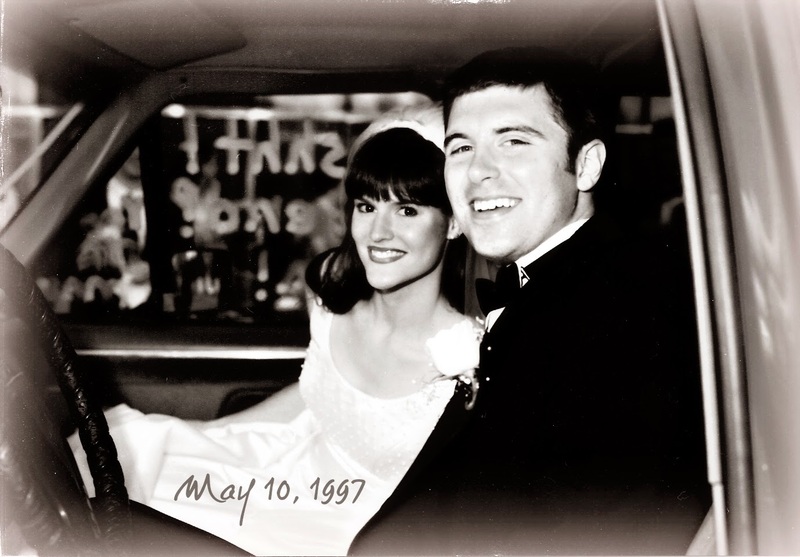 My husband was at peace with the laying down of a dream, and we were open to what we thought lay ahead in our future. The path before us seemed clear even though we weren't quite sure where it would ultimately lead. There were no other paths - it was just one, and we were ready to start walking. It was around this same time that I felt God impressing upon my heart a new word for the upcoming year - 2014. The word was and still is FOLLOW. At first I thought, great! What a perfect word for this whole path metaphor thing. Then, on the eve of December 18, 2013 everything changed. My image of our family walking a peaceful, tree-lined path was shattered. 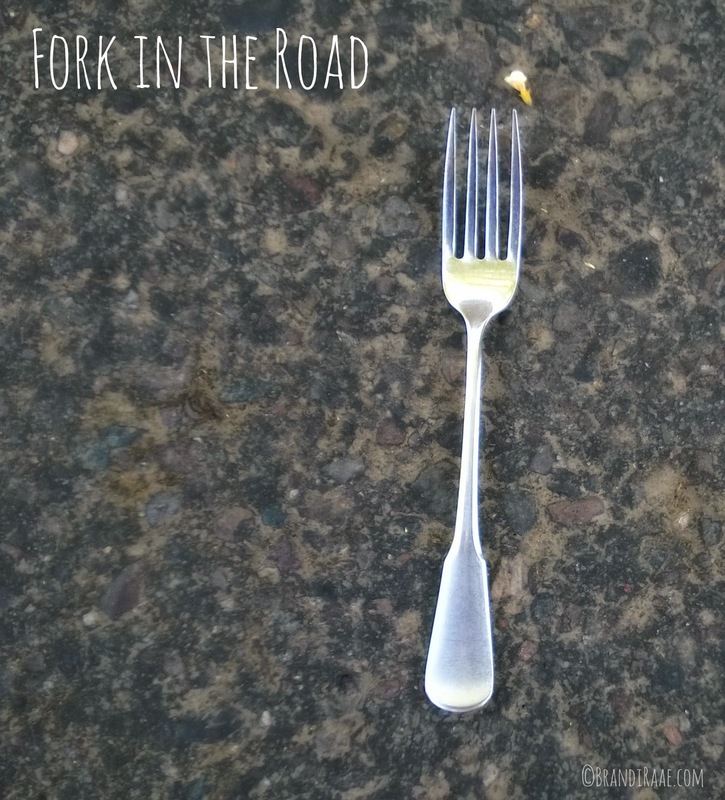 It was like a giant earthquake split the road in two, and my hubs and I found ourselves staring at a fork in the road. 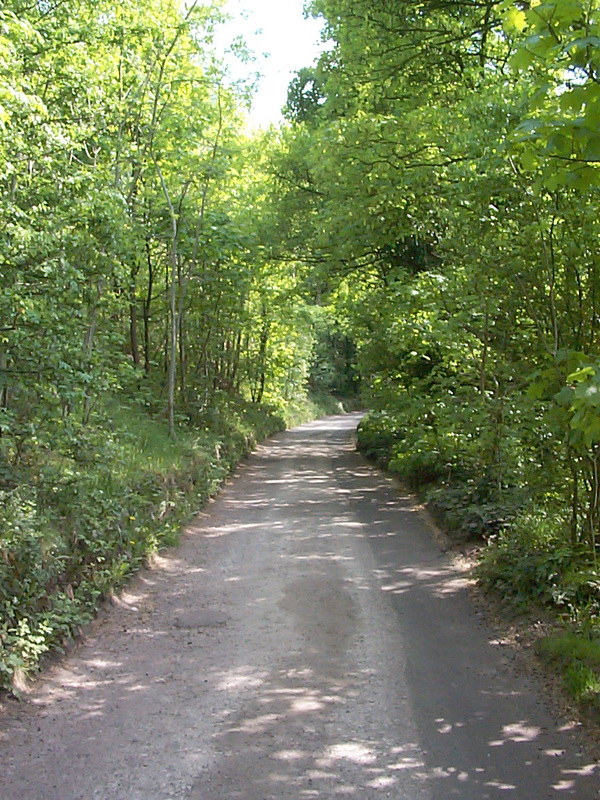 Yes, I know this is a completely lame picture of a forked road, but after scouring the web for FREE beautiful images of nature forks in the road, I found none. And I don't want to pay for an image or steal one. So, there ya go. 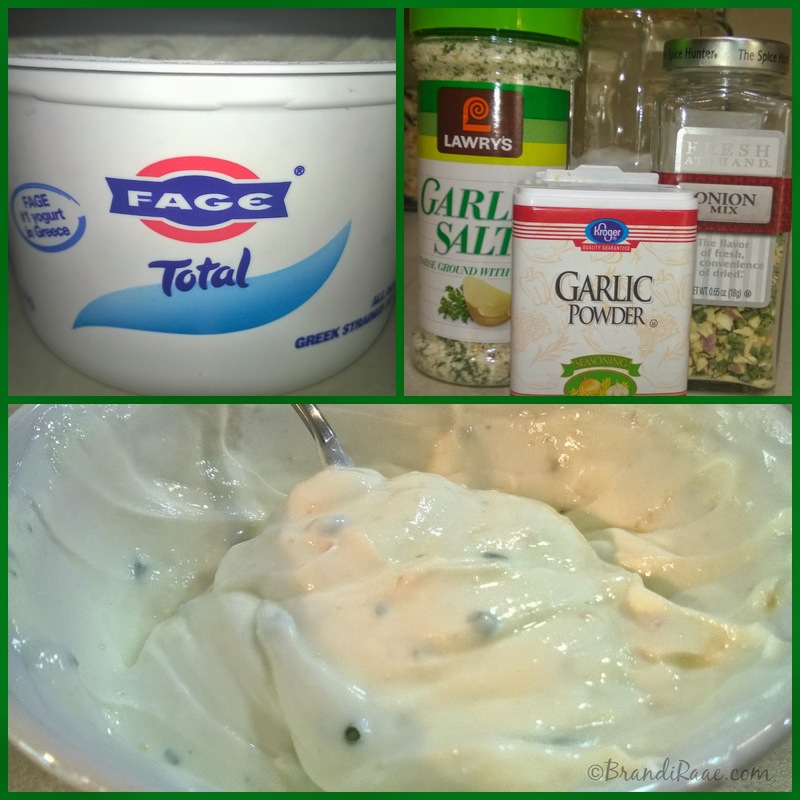 Okay, this dip that I made up on the fly is like the new sensation at our house. It is YUM!!! We are truly eating more raw veggies because of it. Simply mix in all the spices and stir thoroughly. 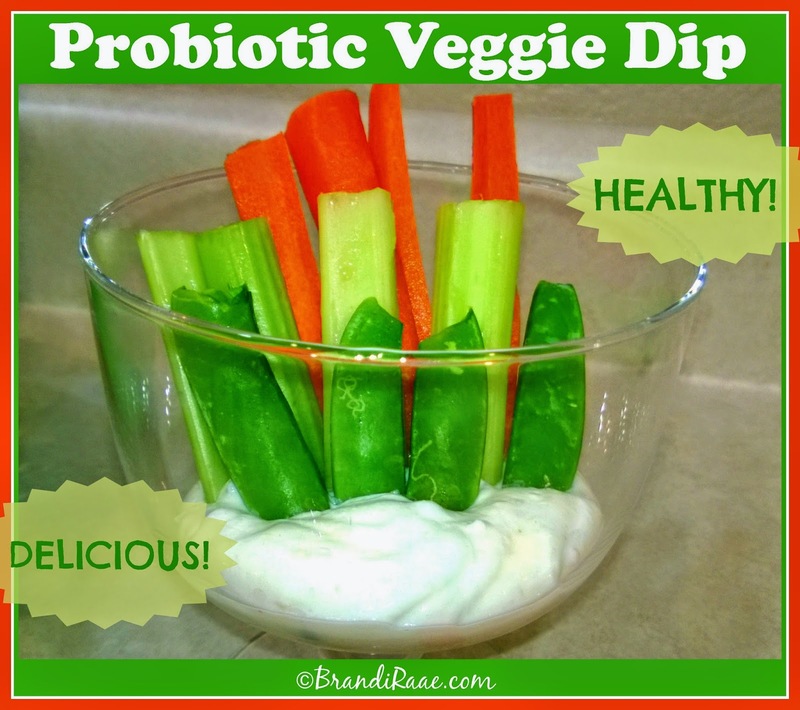 Then go crazy dipping in all kinds of veggies!